This year Esprit has added my Christmas Cabins to their finest selection of accommodation on offer for my guests to stay in. 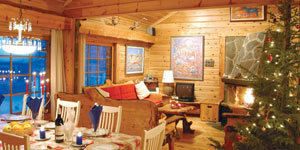 All Christmas cabins have a Christmas tree in the lounge for the home from home Christmas atmosphere. 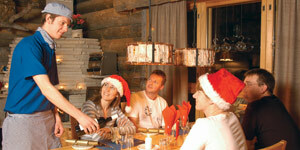 Settle down by the open log fire after spending an exciting day taking part in all of the activities included in a Santa’s Lapland break from Husky sledding to Snow hockey or Sleigh rides to Ice fishing, the warmth of the fire at the end of the day is a perfect way to relax with the family and reflect.